I went and flew to the other side of the planet. All the way over there. Really far from Kentucky. I went for a wedding, but stayed for almost a month of running around. Stationed in the Gold Coast, Queensland (with a section of town literally called Surfer’s Paradise), the Goatman felt a bit out of his element, I must admit. Hooves aren’t very sticky on a surfboard and the salty ocean air tastes like the bottom of a bag of chips. It was beautiful, of course. Sunrise over the Pacific in the morning. 75 degrees in the middle of the winter. Great seafood everywhere. But I didn’t go to Australia to laze around and pick sand from my beard. Not entirely anyway. You can take the Goatman out of the hills, but you can’t take the goat out of the hill man as the saying goes. 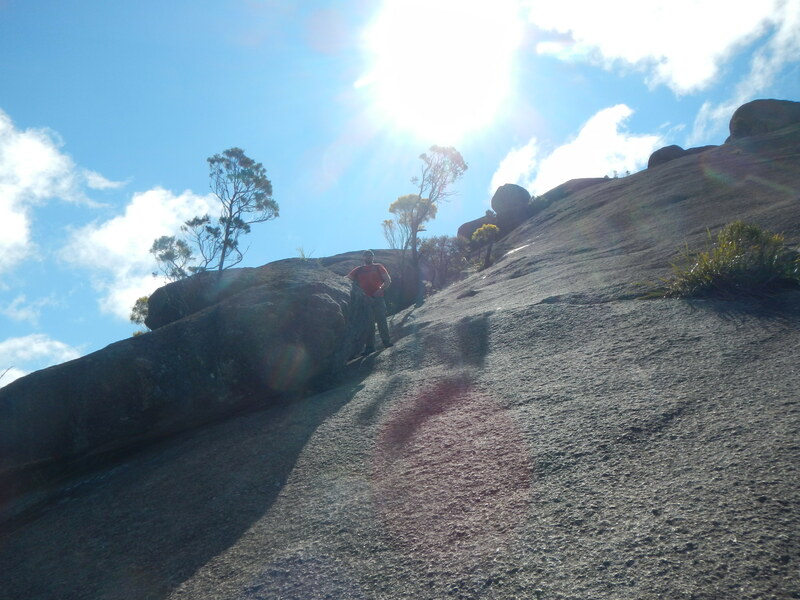 I needed to get out there and climb something, see some of the wildest wildlife on the planet, and take in the legendary terrain of Australia. And that I did. Our first trip out from the Gold Coast was a 3 hour drive inland through wine country to Girraween National Park on the border between Queensland and New South Wales. (On a side note, Australia has over 500 National Parks. The USA has 58. Australia’s national parks are much smaller than those of the USA, however, and more specific.) After lunch at a vineyard, and a wrong turn involving a 7 foot tall alpha-male kangaroo and a family of wild boar scaring the bejeezus out of me, we found a camp near the trail head of Bald Rock Creek. In the distance looming we could see the Pyramids, granite outcroppings of over 3,000 feet and our goal for the next morning. Up and at ’em with the laughter of the maniac kookaburras, we took a leisurely warm-up hike around the Bald Creek area. 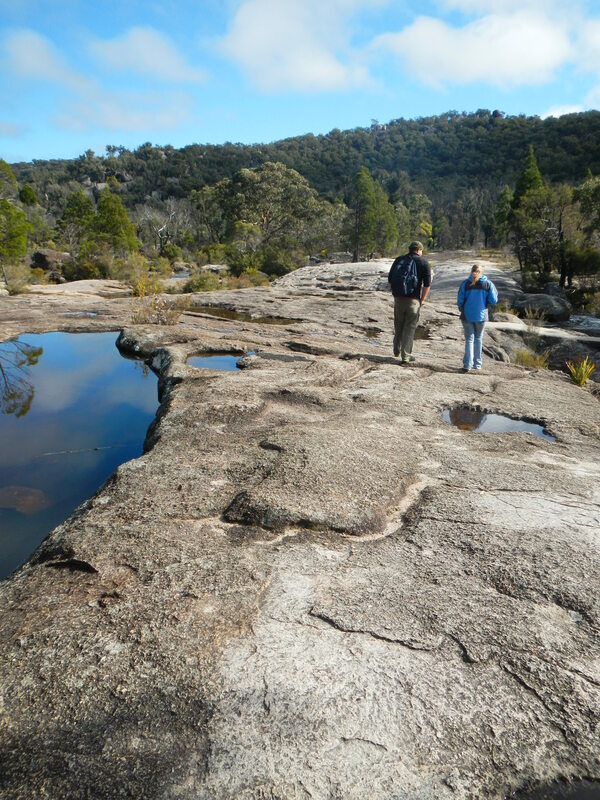 The creek flows through the granite landscape, carving out interesting gorges in the rock and gathering in deep holes lending a surreal atmosphere in which to the hike. Back on the trail to the Pyramids, we stopped by the Granite Arch on the way, a natural formation that looks as if neolithic hippie giants were balancing boulders for fun. Then came the climb. The ascent to the summit of First Pyramid reminded me of the Mahoosuc Arm in southern Maine: a steep granite face with few handholds that seems to go on forever until you crest the summit and realize that all of the huffing and puffing was worth the beautiful 360 degree view. From the top, you can see the entirety of Girraween NP as well as across the state line into Bald Rock NP. A boulder the size of a truck is upended, balanced like an egg on a spoon, right next to the view of Second Pyramid, another impressive mass of granite. Golden wattle, fig and gum trees dot the landscape, as well as flora unknown to the humble Goatman but equally strange and impressive. We left Girraween after the hike, having business back in the Gold Coast, but never once did I stop looking behind me in case the 7 foot tall kangaroo was following, looking to put me in his pouch. After a bit of beach laying, we were back on the road. This time, Jubilee and I were acting as couriers, delivering a car to Sydney about 12 hours south of the Gold Coast. Fortunately, we had 4 days to accomplish this so we were able to check out some more National Parks along the way. This meant that I had to learn to dri ve on the left side of the road, on the right side of the car, to navigate round-a-bouts, and to remember that the levers for the turn signal and windshield wipers were switched. I never got the hang of that last one, but the rest fell into place rather quickly. First stop was Hat Head NP on New South Wales’ Central Coast for some ocean side camping. 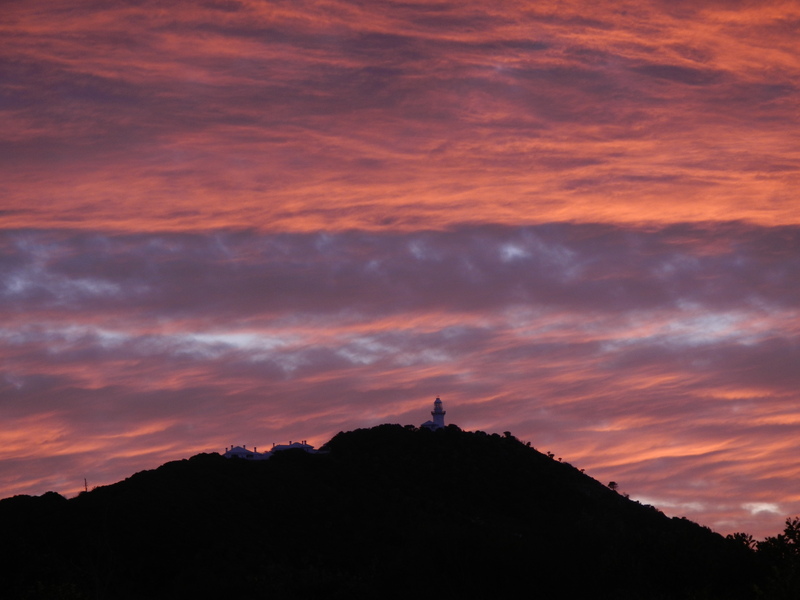 The Smoky Cape Lighthouse stands on a ridge above the Pacific, small islands in the distance. Our campsite was 100 meters from a secluded beach where the sunset led into a view of the Milky Way visible to the naked eye. Some freaky cute possums attempted to raid our camp as we cooked dinner, but we were car camping, huzzah! Have fun opening locked doors with your tiny brains and hands, critters! 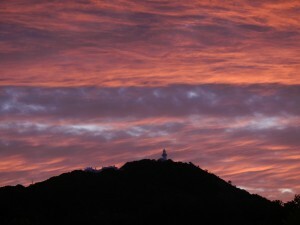 Oh, the sunrise at Hat Head. Up before 6 AM for a tinkle and the sky is on fire. I could have sat there forever, but the sunrise, like all things, must pass and we had some miles to cover to get to Sydney in time for our flight back up the coast. The road trip continued south, into the Blue Mountains for a night before heading back into the crushing embrace of the city. Short on time (a common theme while traveling cross-country with a deadline), we decided on Mount York, a short drive along a ~3000 foot ridge overlooking the Blue Mountains and the picturesque valleys below that also boasted free campsites. It was a cold night. We had left the sea-level, coastal breeze of Queensland for the windy winter winds of the southern mountains. And, as these things happened, it began to rain. Unfortunately, we were working with borrowed gear, gear that was also used to the northern sunshine. After a night of tossing and turning for the sake of warmth, we were up at dawn and into a nearby Blue Mountain town for coffee and Eggs Norwegian. Really roughing it, I know. The time had come to retreat into the city. And what a city! 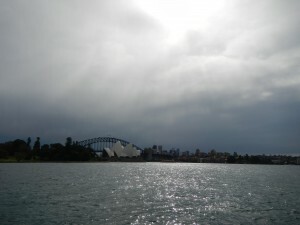 Sydney has around 4 million people and is one of the most beautiful cities I have had the opportunity to visit. The Opera House, the Sydney Harbour Bridge, King’s Wharf, the New South Wales State Library: we ran around and saw it all (not to mentio n gorging ourselves on delicious food at every corner). 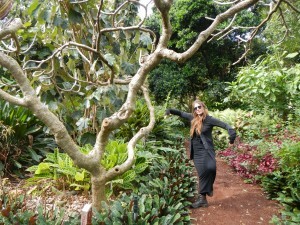 What blew my brain out of my eyes, however, was the Royal Botanical Gardens. 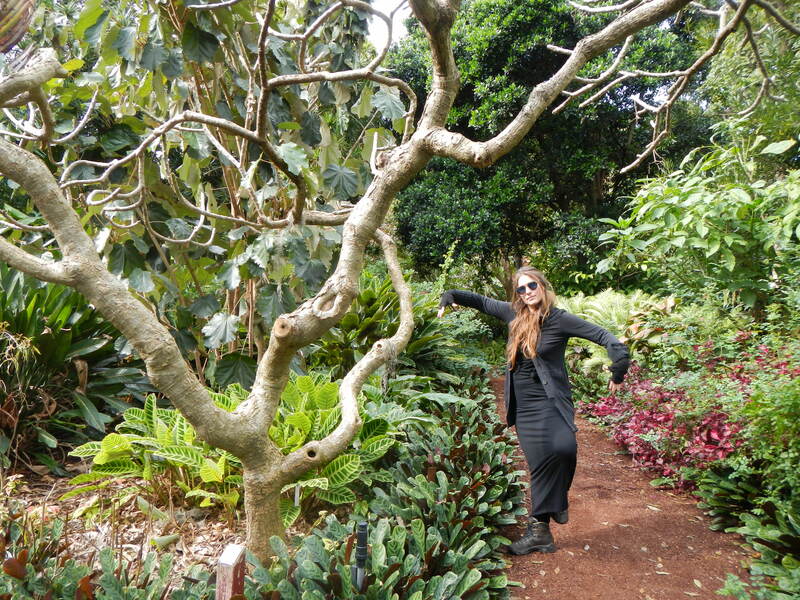 Located on the bay and spread out over 74 acres, the Royal Botanical Gardens are free and open to the public daily. Built in 1816, they are the oldest scientific institution in all of Australia. But forget all that: the trees are huge, numerous, rare, and other worldly at times. Species from all over Australia live here, not to mention species from all over the world. 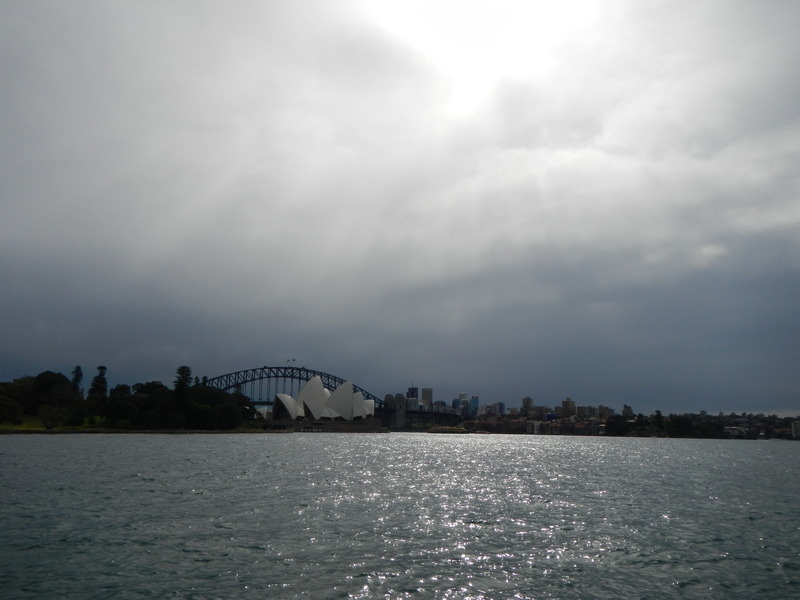 Statues, engravings, beautiful paths, and a view that takes in the best of Sydney rounds out the experience. Jubilee and I spent almost 5 hours just walking around this space and I’m not certain we saw everything as hard as we tried. We flew back to the Gold Coast from Sydney and the wedding fever was in full motion. I feared this might spell doom for my running around of the countryside, but I was wrong! Quite wrong, actually. A few days later, we woke at 3:30 AM, drove an hour into the Tweed Valley, and by 5 AM were on the moonlit trail to the summit of Mt. Warning in Wollumbin NP. Mt. 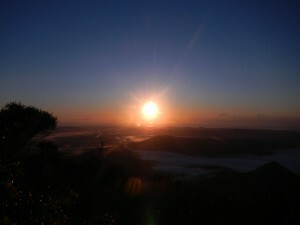 Warning was named as such by Captain James Cook and, standing high above the most eastern point of the Australian coast, receives the first rays of the sun’s light in the country on its summit. We climbed by the light of headlamps, the jungle’s canopy blotting out the moon, drop bears creaking in the trees above, until dawn’s light began to creep from behind the surrounding hills. 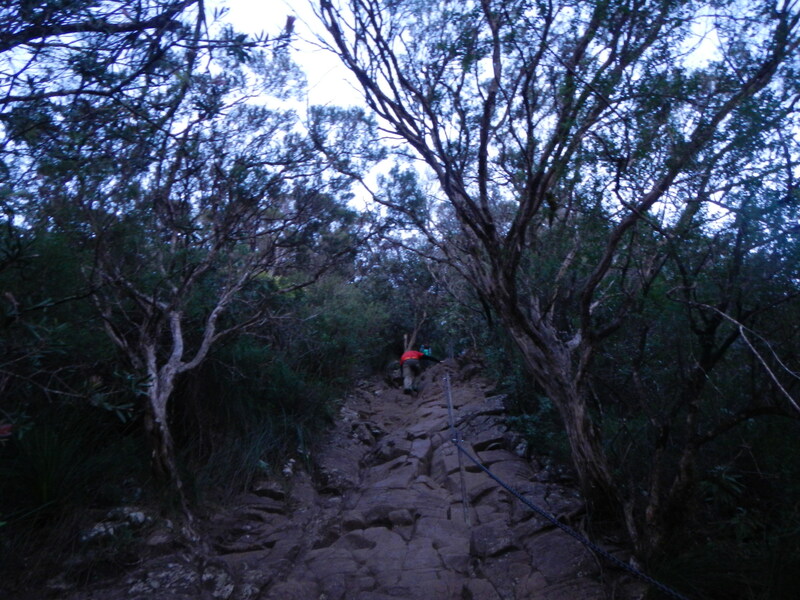 By the time we reached the last few hundred feet of the climb (and I do mean climb at this point. 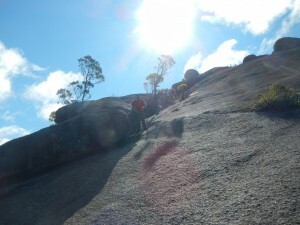 The final section of tr ail required both hands and feet to scramble up the rocky face of the mountain), the sun was on its way to showing its face. We reached the summit just in time to see it in its full glory. On a trip full of mind-bending beauty, the summit view from Mt. Warning will stick in my mind for a long time to come. Below, the valley ran with rivers of mist as the air warmed and in the distance, the ocean shined. This was to be my last back country adventure in Australia. I could not have asked for a better closer to an amazing trip. Thanks to all of my friends that made it possible in the first place.